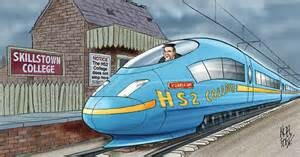 Does Anybody Actually Want HS2? With a limited business case, no environmental case, and inflated costs hitting over £90billion, it’s no wonder that even Ellie Goulding has recently come out in opposition to the government’s current vanity project. I’m wary of a Boris ‘red bus’ moment — but you’d be forgiven for thinking that £90billion could be better spent elsewhere — particularly with the public finances on shaky ground. Indeed; even to ignore the more emotive cases for greater healthcare spending, or reallocating the funds to education — recent figures have outlined the shocking disparity between London and the North when it comes to transport funding. The Department for Transport has admitted that high speed rail is dramatically worse for the environment than a conventional one; could we not be spending the money on improving Northern transport links, rather than a project which will be obsolete by the time it opens? One argument for this diabolical white elephant is that it would ‘unlock’ the power of the North. No, it wouldn’t. 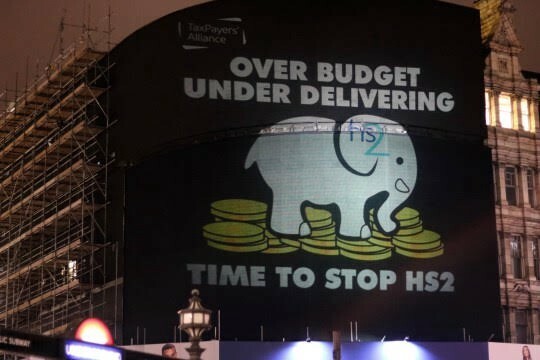 Without first devolving fiscal power to local Northern administrations, HS2 would work hugely to the detriment of the North — rather than encouraging London based firms to move Northwards (where they still rely heavily on Westminster and the most centralised state in the developed world,) there is next to no evidence that HS2 wouldn’t just encourage workers to move to the City. Without dramatically accelerating the devolution agenda to encourage investment in the North, HS2 could easily spell disaster. When high speed rail links two cities, then surely economic activity is bound to favour the larger, the more dominant? For a government with the wind knocked out of them, this should be too big a risk to take. I recently attended think-tank Bright Blue’s Social Justice Conference, at which de facto Deputy PM Damian Green defended HS2 quite feebly — arguing that he wouldn’t want to pull out of investments ‘in the future’ on the premise that ‘we may need it.’ With George Osborne out of office and out of favour, there seems to be nobody willing to put forward a compelling case for the former Chancellor’s fledgling. With HS2 set to use around 3 times more electricity a ‘normal’ high speed rail route would use, and only two high speed lines globally actually turning a profit, you can see why. As for Damien Green; I’m sceptical. To the thumping tune of billions of pounds of taxpayers money — when much of our economy is cash starved — will we ever need to get up and down the country that thirty minutes quicker?